The Army has MRAPs, Bradleys, etc., but what do civilian Zombie combat units rely on? The very vehicles they own. 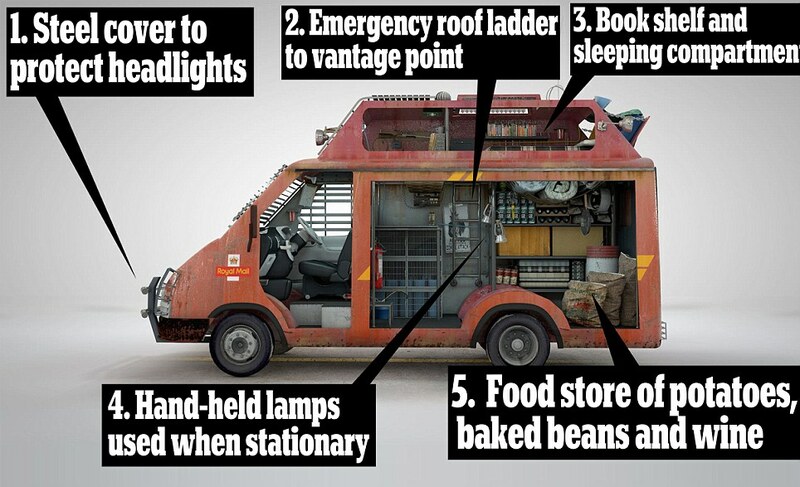 The Daily Mail released THIS article, which shows detailed diagrams of some vehicles converted for Zombie apocalypse survival. Those considering using their vehicle in a Zombie apocalypse should check it out. If you live in a city, forget your vehicle. But if you live in the countryside, a good vehicle can make a lot of difference. – Gas may only be available from other abandoned vehicles. – Spares may only be available from other abandoned vehicles. – A working vehicle will make you a target of other survivors and rogue elements. – The noise may attract Zombies. This entry was posted in Doctrine and tagged vehicles, Zombie. Bookmark the permalink.